A grommet is a ring or edge strip inserted into a hole through thin material, typically a sheet of textile fabric, sheet metal or composite of carbon fiber, wood or honeycomb. Grommets are generally flared or collared on each side to keep them in place and are often made of metal, plastic, or rubber. A professional rubber grommet is dustproof and waterproof. They are used by electronics, electrical appliances, machinery, sports equipment, furniture, and lighting companies. It could be tricky to install a rubber grommet so, we would be looking at a few tips that could aid an easy installation. 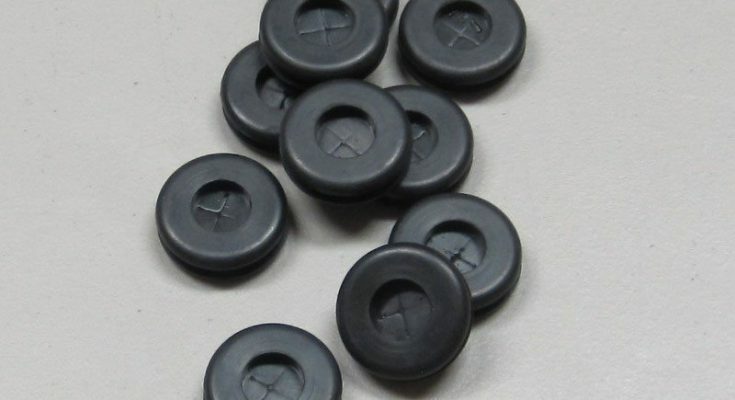 Rubber grommets come in different shape and sizes, and when you want to install them, you have to ensure that the grommet fits the edges of the material passing through it. This means that you need the right measurement of the diameter of the object passing through the rubber grommet. When you want to install a rubber grommet, ensure that you get the accurate measurement of the object that is to be fitted into it. This would ensure that you get the right size of the rubber grommet you want to use, and that is an essential aspect of the installation. For instance, if the grommet is to fill a hole, measure the gap first, to ascertain that it would fit the hole. After measuring the grommet, it is also compulsory to clean it. This is to ensure that dust, debris, and grease is wiped away, and the object passes through the grommet easily. If not properly cleaned, specks of dirt that happen to be stuck within it tend to cause significant problems with the rubber grommet later. When installing, you fit a side of the grommet first, once that is done, you can manipulate the other part because as you know, rubber is very flexible. It makes your work easier if you bend the rubber grommet as you try to fit it in. You can use a plastic putty knife to push in the rubber. If you have troubles installing the rubber grommet, you could also allow it to sit in boiling water for a few minutes. This allows the rubber to be more pliable. It is after this that you can now insert an object in its hole. If the hole is a tight fit, then you can add silicone before you put the grommet in place. If the grommet is well fitted, it would be from in its opening, once it is shaky, then it is not well fitted, and it would give you maintenance issues. When installing a rubber grommet, some objects might be difficult to insert. You might have to slit one side of the grommet with a razor blade or sharp knife. When this is done, you then wrap the rubber grommet around the wire, and you use silicone sealant to ensure that it is firm.